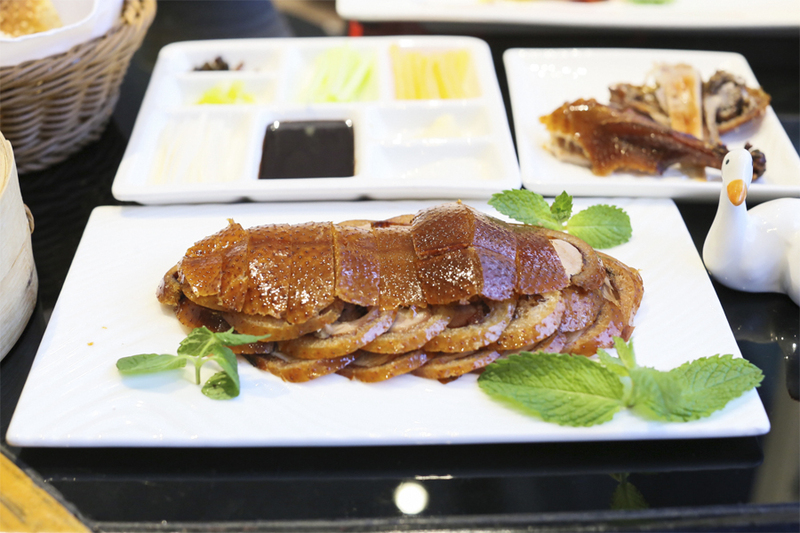 [Beijing] Talk about the best Peking Duck from Beijng, Quanjude 全聚德 may be the restaurant most popular with tourists, but it is Da Dong that is known for its quality ducks and dishes. 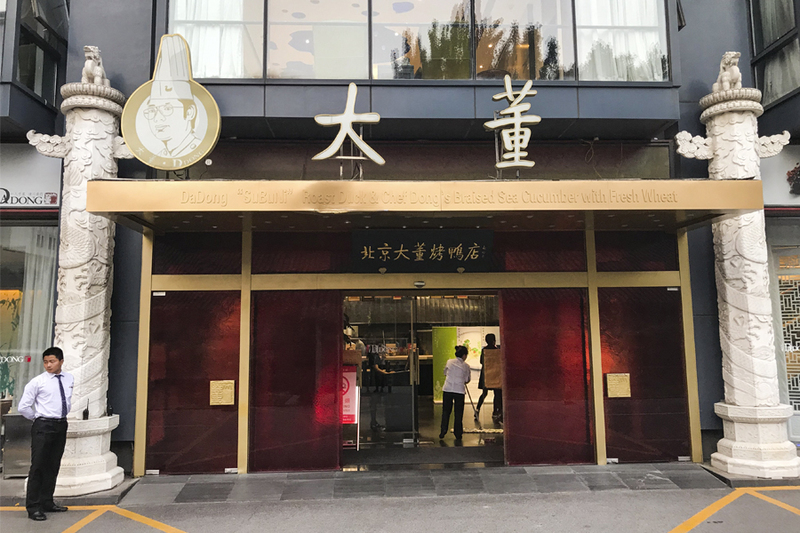 Da Dong Roast Duck 北京大董烤鸭店 was established in Dongcheng District in Beijing, more than 30 years ago. 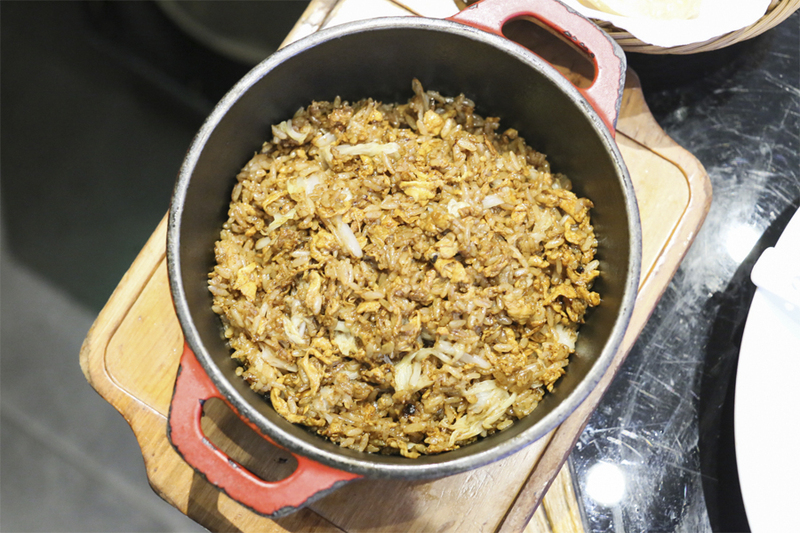 It has become one of the top restaurants in the country for modern Chinese food, highlighting dishes from different regions of China, but with a twist. There are 9 locations around Beijing, but the one along Nanxincang is the original and most famous. 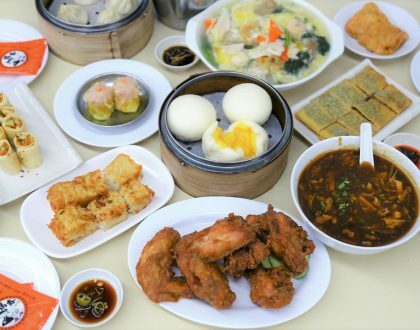 Its other two restaurants in Shanghai both earned a Michelin star each; while the Peking Duck restaurant has also found its way to New York City’s The Cube Building near Bryant Park. One of Beijing’s top restaurateurs, Dong Zhenxiang a.k.a. 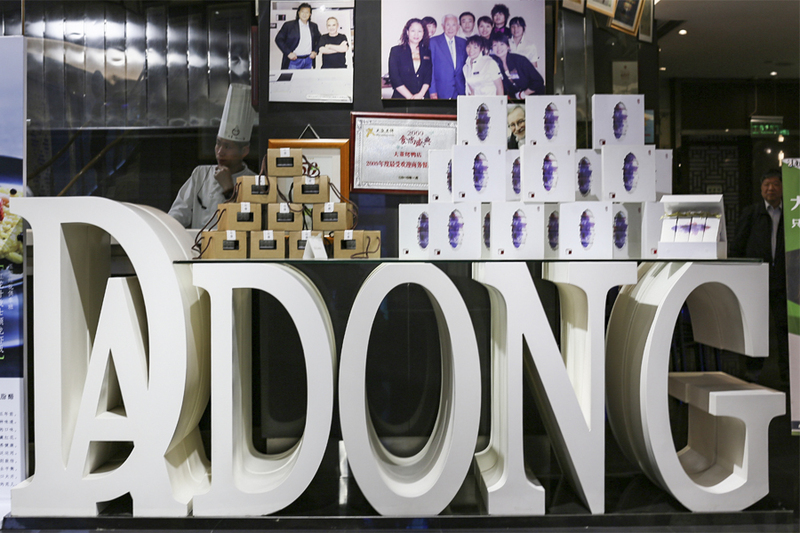 Da Dong is the founder, and known as a mad scientist of food. 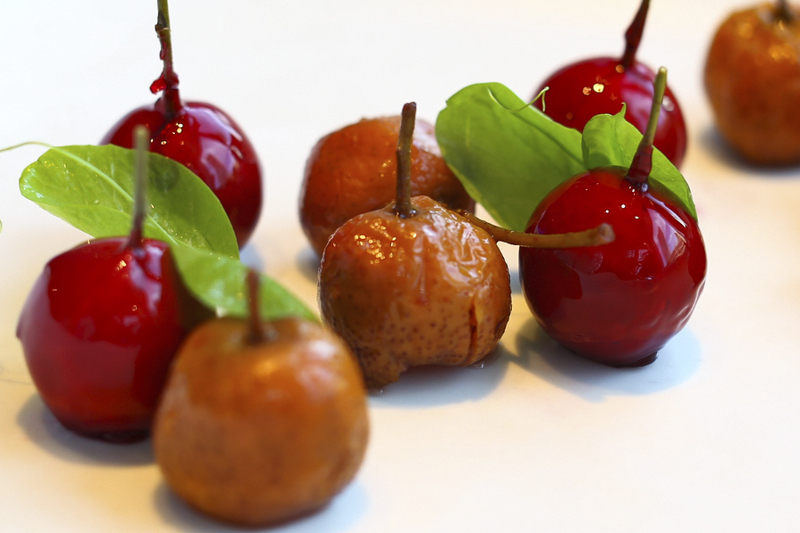 By pairing Peking Duck with foie gras and not-so-Chinese delicacies, he has elevated it to a luxury item. 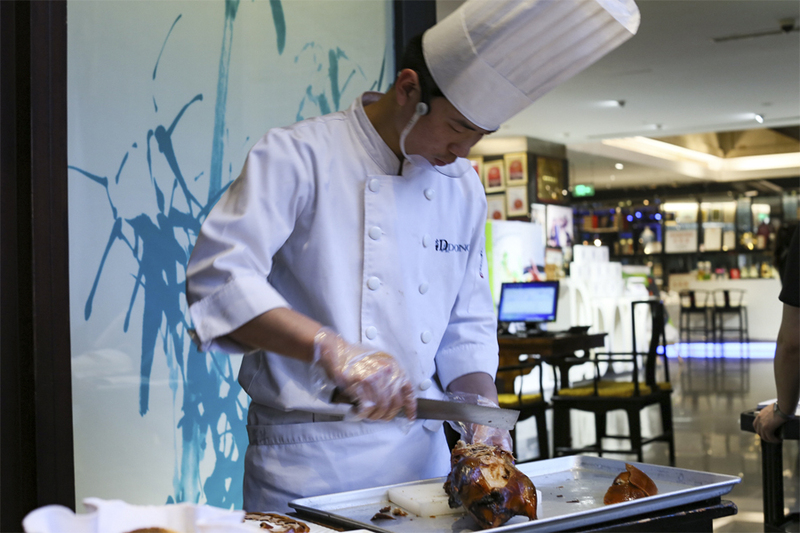 In March 2016, he was elected to The Beijinger’s Beijing Dining Hall of Fame, and recognized as the Best Chef in the Reader Restaurant Awards. 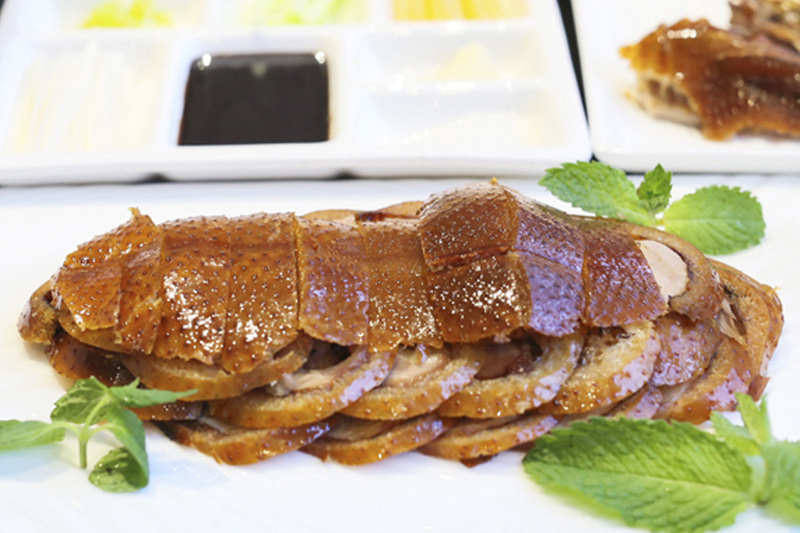 Da Dong is synonymous to its specialty, super-lean roast duck. Instead of the traditional square oven, Da Dong uses an innovative spherical wood fired oven in cooking Peking Duck. Billed as the modern, healthy way to eat roast duck, Da Dong Roast Duck is famous for being roasted in a leaner and less fatty way than traditional methods. 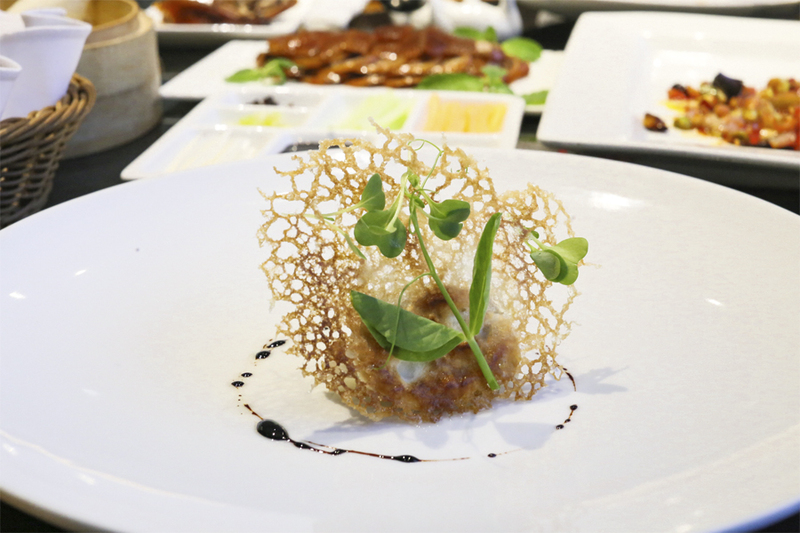 French journalist Andre Gayot named it one of the top 10 Beijing restaurants in 2015. 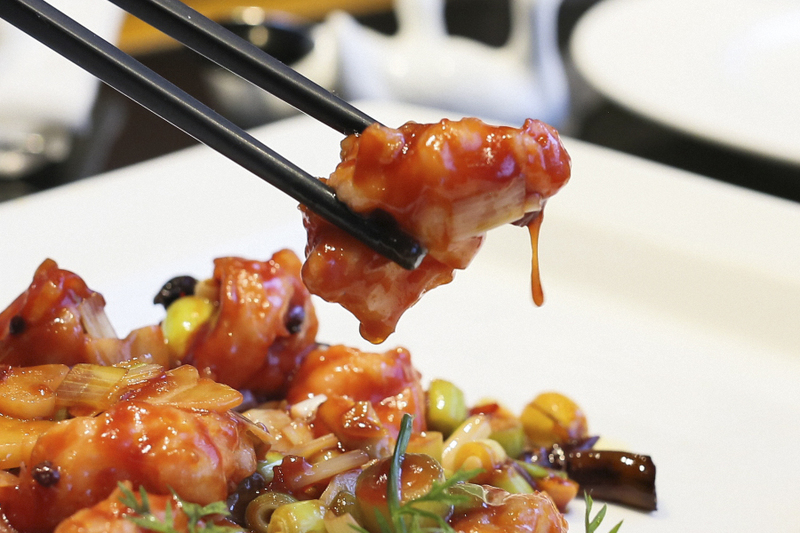 In 2014, The Beijinger recognized it as the Best Chinese Cooking Style Restaurant in Beijing. 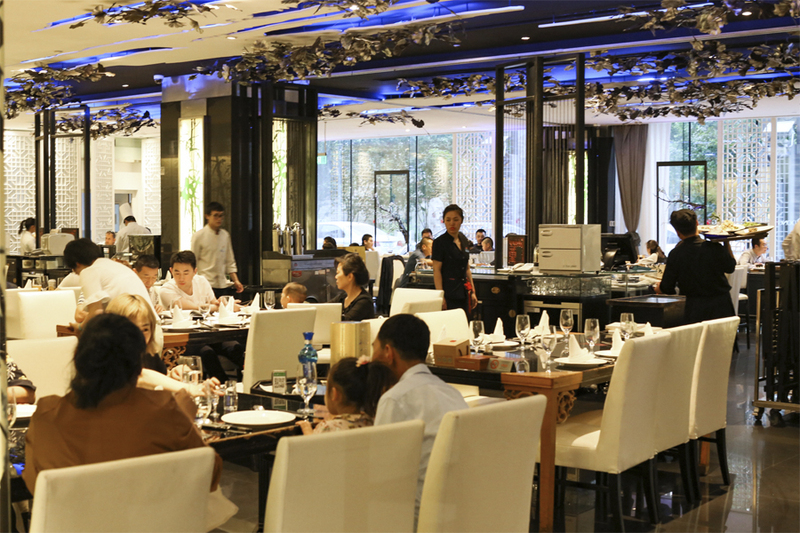 It also snagged the Best Beijing Duck (Upscale Dining) and Outstanding Chinese Restaurant of the Year trophies. 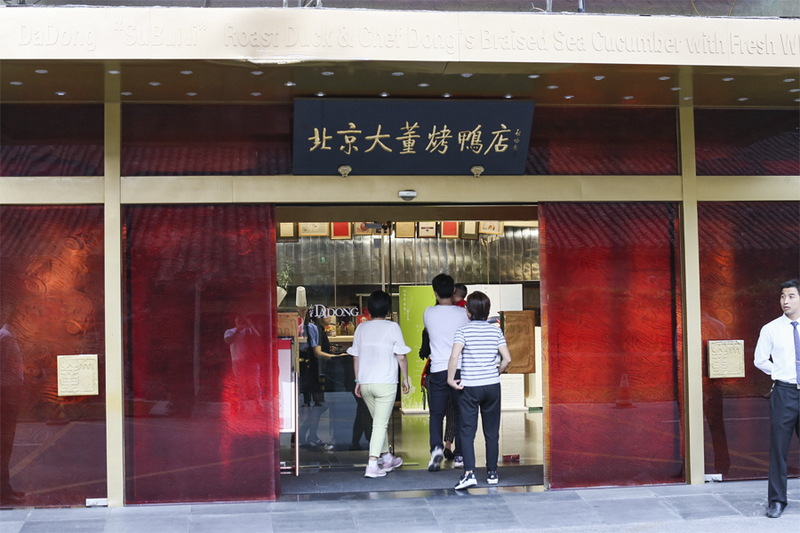 The façade displays the name in English “Beijing DaDong Roast Duck Restaurant” and in Chinese. You can’t miss the panels of red framed in gold. As you enter the restaurant, you’ll see a photo of Chef Dong with world-renowned French “Chef of the Century,” Joël Robuchon. 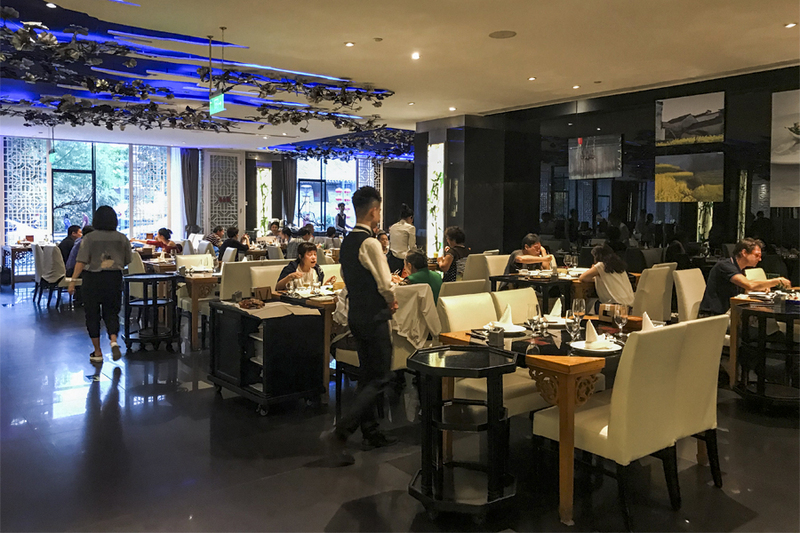 The restaurant is housed in a restored Ming dynasty palace, creating an elegant dining space for both locals and tourists. The décor and lighting are modern. A small detail, but adds to the “branding” are the duck chopstick holders. Cute. Let’s talk about the duck. 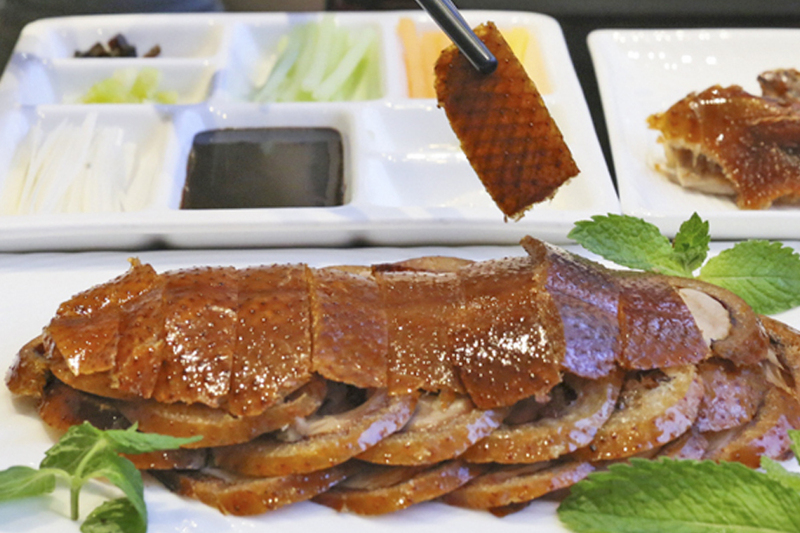 The molasses-coloured skin of the duck (RMB298, SGD63.06) was crispy yet light, with a great smoky flavor. I would recommend first eating the skin san all the condiments and pancake – it could melt in the mouth with a thin layer of juicy fat. Inside, the meat is flavourful. The main thing I was not too happy about was, the duck arrived with 2-3 pieces already cut off (and it wasn’t because I ordered half a duck). When I asked the chef, he gave me *that look*. 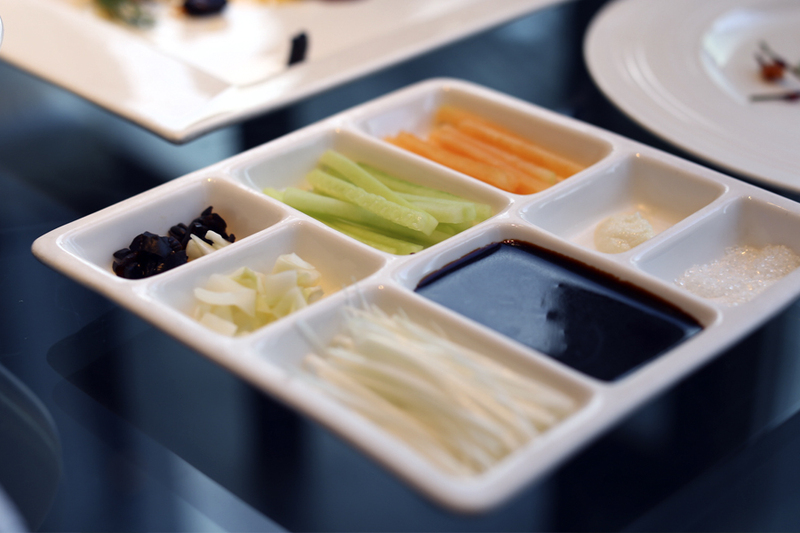 Peking duck is eaten with various condiments and wraps. 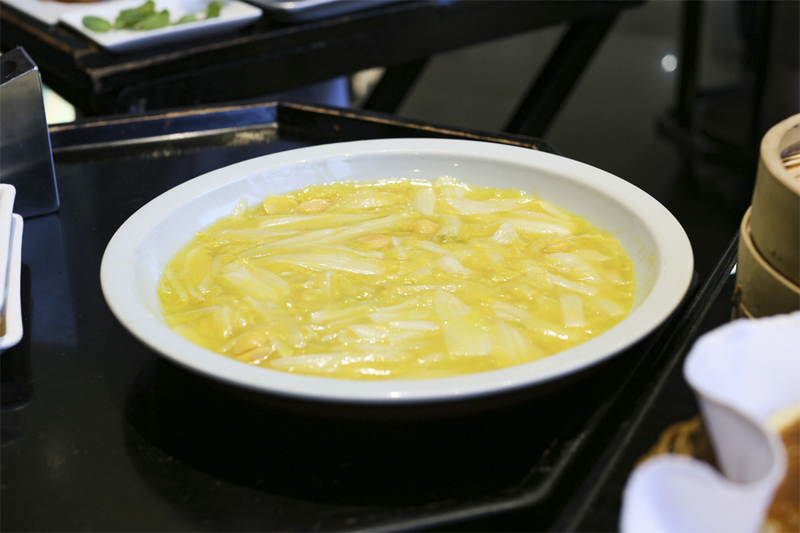 While other restaurants serve cucumber, scallions and plum sauce, Da Dong offers additional condiments: minced garlic, granulated sugar, honeydew melon slices, pickled vegetables, and some tianmianjiang (a sweet soybean sauce a.k.a. sweet wheat paste). 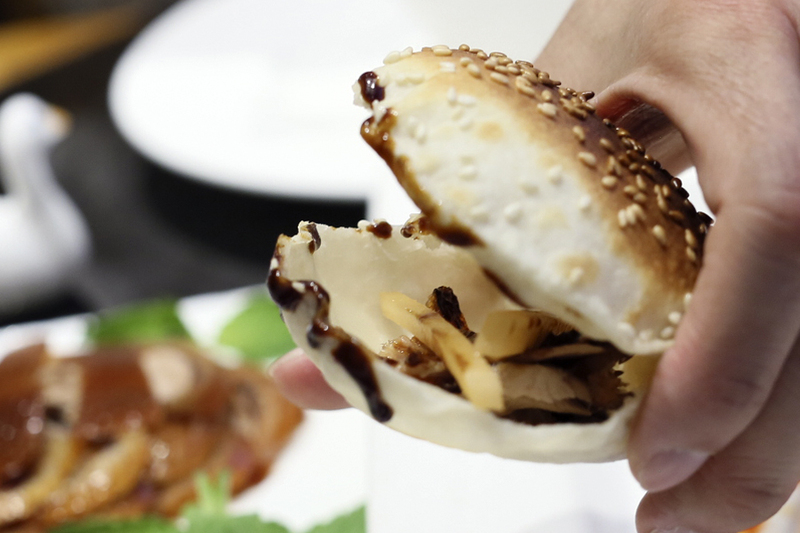 Aside from the usual pancakes, Da Dong serves sesame puffs with the duck. 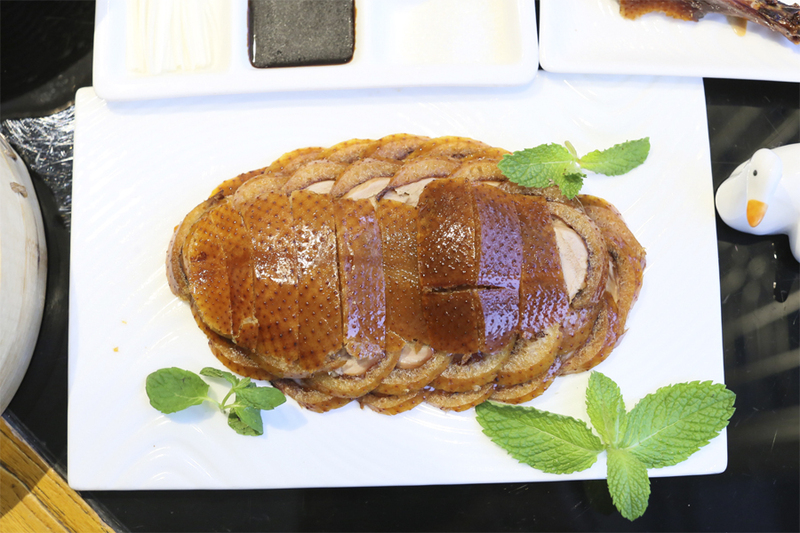 Or you can also eat the duck by simply dipping the skin in sugar, or the meat in the tianmianjiang. While roast duck is Da Dong’s specialty, their menu is quite comprehensive and extensive. The menu is heavy – literally, and full of beautiful photos. The restaurant is usually packed so reservations are recommended. Even if you cannot read Chinese, you can still survive here. 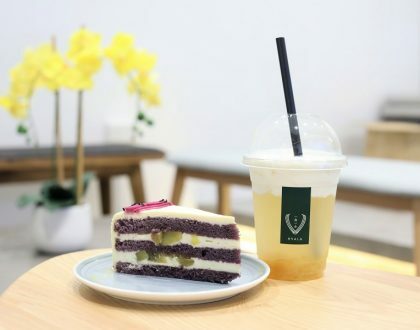 Some of the crew do not speak English fluently, but the picture book type of menu has English text in it so you should not have any problems with ordering. If you are dining as a couple, you could just order half a duck. 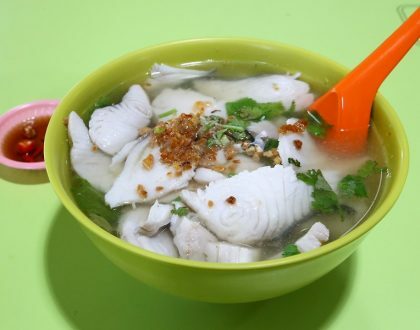 The restaurant is suitable for family and business meet-ups. While price is on the higher side, service is generally prompt and forthcoming.